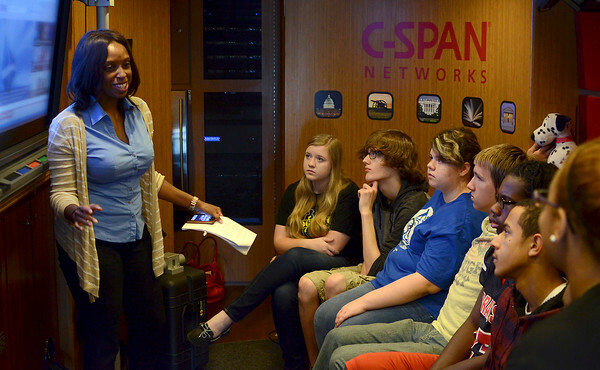 Paid for by cable: C-SPAN bus host Shannon Augustus talks about the start of the cable news network during her presentation to Terre Haute South students on Friday at South. Augustus asked if any of the students knew what the acronym "C-SPAN" stands for. The answer: Cable-Satellite Public Affairs Network.